Improve communication and increase employee engagement using the Schoop app. Essential company data can be translated into over 40 languages, sent quickly to all employees, teams or individuals and is available in the palm of the hand. Obtain employee feedback efficiently at the push of a button. Communicate more effectively with your distributed workforce, nationally or even internationally. If you have 50 employees or 150,000 employees, Schoop can ensure consistent communication resulting in a more productive workforce. Engage your employees with quick messages to the Schoop app. You can also set up repeating message schedules. Rich text articles with images, videos and files can be used for sharing company information with all employees, teams or individuals. Easy to use form & survey builder with lots of question types. Get valuable feedback from employees. The app is available in 41 languages and will automatically translate messages to the end user’s language of choice. Add your own logos for internal branding within the app. 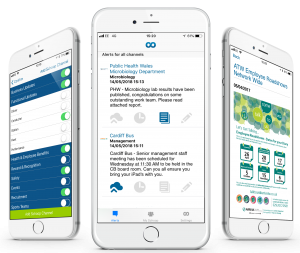 The schoop app makes it easy to engage and communicate quickly and efficiently with employees that work remotely. Save time and money through efficient and effective engagement.